What is Raw? .....Well what it means for ME anyway! 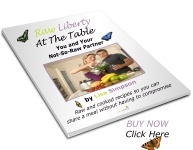 Does Raw Food Make You Single? Mum, What can I have to eat? Lisa on What is Raw? .....Well what it means for ME anyway! Beth on What is Raw? .....Well what it means for ME anyway!